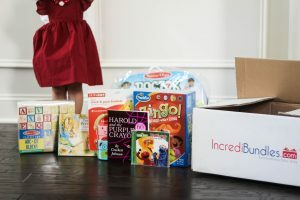 Thank you IncrediBundles for sponsoring this post. As always all thoughts an options are 100% my own. Holiday shopping for littles can be stressful and with lots of nieces, nephews & friends with kids on the list I need an easy option. 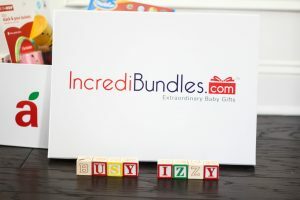 IncrediBundles is great for anyone ordering gifts (because shopping in stores is mayhem). IncrediBundles has gifts bundled together for you, or you can search the all the inventory yourself and create your own bundle. This is great for family close by and especially for family father away. You can send the bundle and option for it all to be sent in a reusable box that comes tied with a bow. I like this because If you aren’t sure what to get, you can ask the parent to look at bundles per price range and then easily purchase the chosen bundle. I know some people get stressed about choosing. IncrediBundles has a lot of options from books, to blocks to dress up clothes. 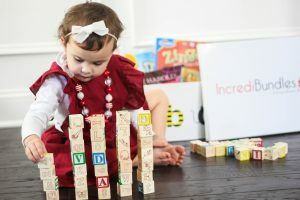 Izzy was pretty pumped to see these Melissa and Doug alphabet blocks. Like I said guys, name brand toys, books and more that you may already have on your list for your kids, nieces/nephews, grandkids etc. 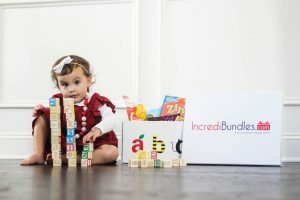 From baby to toddler, IncrediBundles makes holiday shopping so much easier! What a fun idea! I want a bundle! Izzy looks like she loves it!! What a great gift option for family that lives for away. Are the gifts for a wide age range? We love Zingo! So smart to just have it delivered to your door, seriously! What a great and easy gift idea! She looks like she loves it! What a cool idea! I haven’t heard of this! Definitely need to check it out. This is such a great idea! And love the idea of a reusable box! 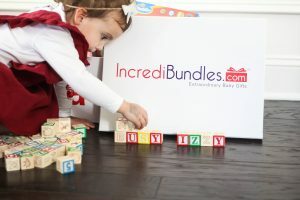 incredibundles make the best gifts!! This is so cool!!! I’ll have to look into this for my munchkins. OMG! 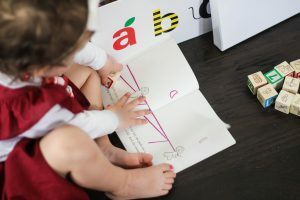 I was looking for things like this to give my little one for Christmas!! Thanks for sharing!